Well that month flew by pretty quickly! I finished up my full-time job in Social Media Management last month and the same night I flew straight into London. Two overweight suitcases later, I arrived at Fashion Week. Then the challenge began to style my looks for the week with no breathing time from leaving the office onto the plane! Packing was not easy. I had to consider at least one look to photograph a day not only at LFW but also PFW. Minus temperatures sure look great in pictures, but let me assure you that packing multiple jackets and coats also meant that both my suitcases actually burst and broke by the time I made it back to Aus. Bring on Summer Fashion Weeks and no excess baggage fees! Tailoring was a large part of my London wardrobe. The main items I packed were trouser and skirt suits, multiple blazers, and statement jackets. The below zero temperatures made layering all that more fun, but my hands hated me for not remembering gloves - epic fail when you rely on a remote control to take your photos and you can’t keep your hands warm! 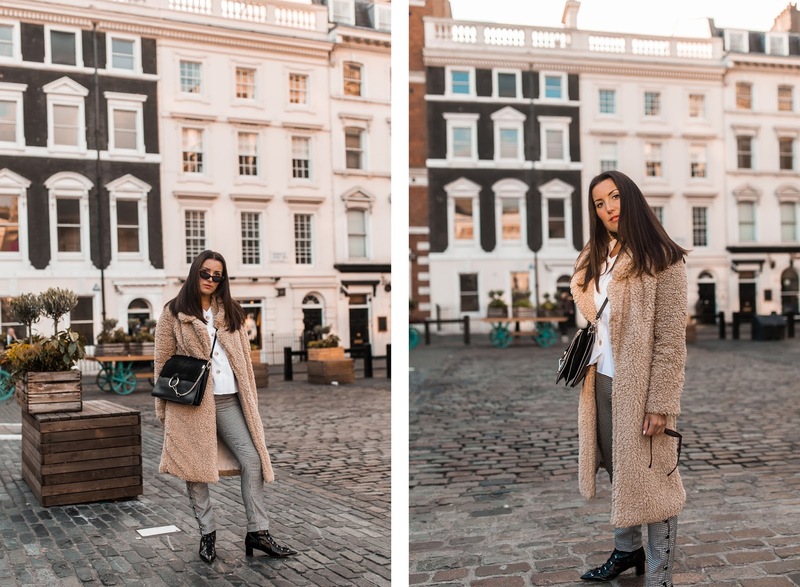 I would have been lost without my Tularosa teddy coat from Revolve. It seriously got me through the cold. There were many trends I picked up on for Fall which I’ll be touching upon in the coming weeks so keep an eye out for that! Today’s focus is what I wore each day in London. Surprisingly a lot of the looks can be recreated day to day. Would love to hear your thoughts on my looks. It’s finally happened…..I am now pursuing Style Structure full time so you’ll see a lot more posts over here. If there is anything you wanted to read and see more of let me know in the comments below! Bonjour from the city of love! I must say, it feels like I have been in Paris forever, and it’s only been 9 days! 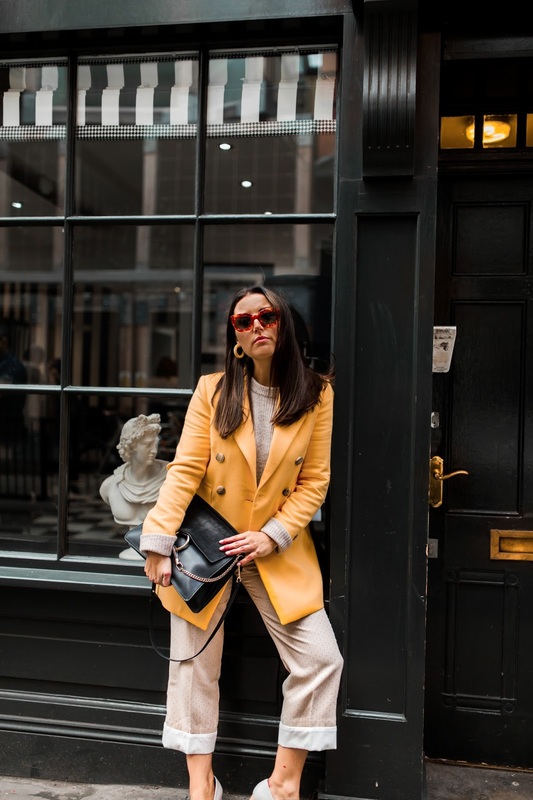 Fashion weeks in London and Paris have come to a close, and I’m sure there are many Insta hubbies feeling a little left out whilst business comes first for us females functioning thanks to cafe au laits. 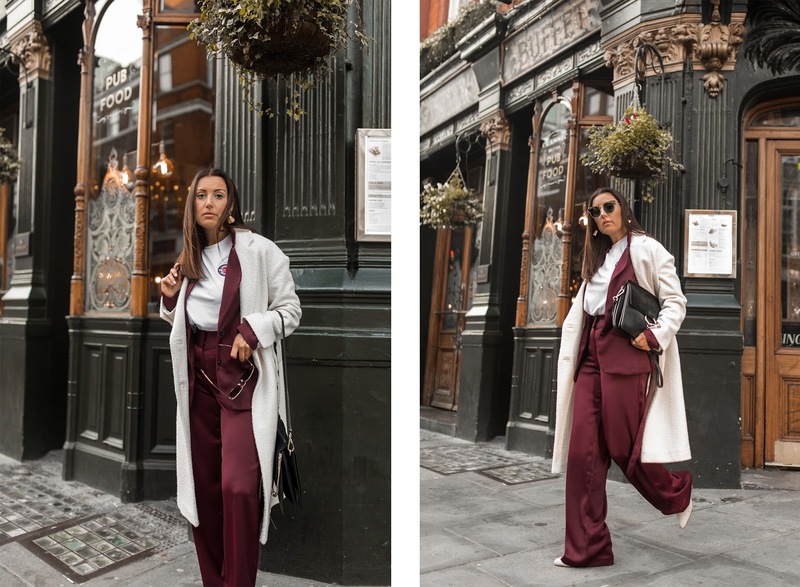 What better way to celebrate the busy period than my three favourite date night looks in collaboration with Order of Style. You may remember my denim post back last year (you can view it here). My mind is still made up when it comes to this Melbourne boutique having the best selection of denim. Today’s favourites are from Frame and Paige. Both crop flares are just so soft and hug in all the right places. 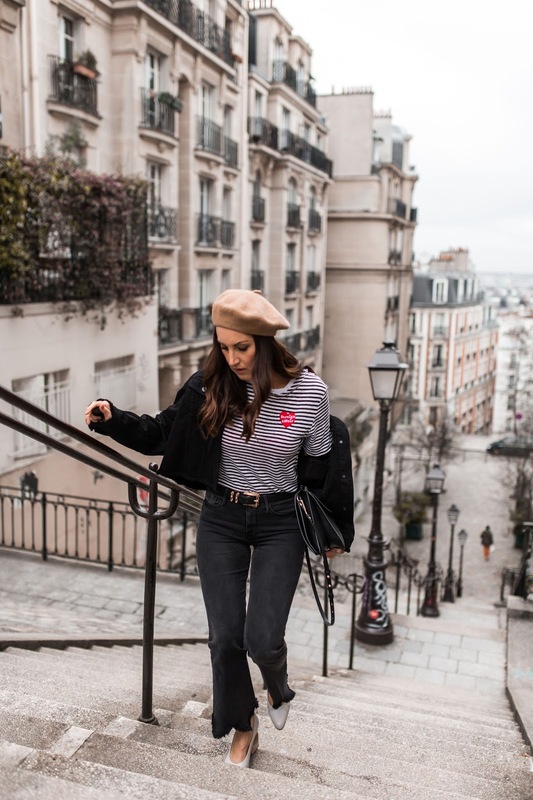 So what to wear on date night in Paris? I’ve always been the type of girl that makes jeans work in any situation. I’m that friend that has to be told ‘It’s not quite a jeans venue'. I’ve always been under the assumption add a dressy top and red lippy - you’re good to go! Adore the sleeve detailing on this Rebecca Taylor number, not to mention the intricate design. 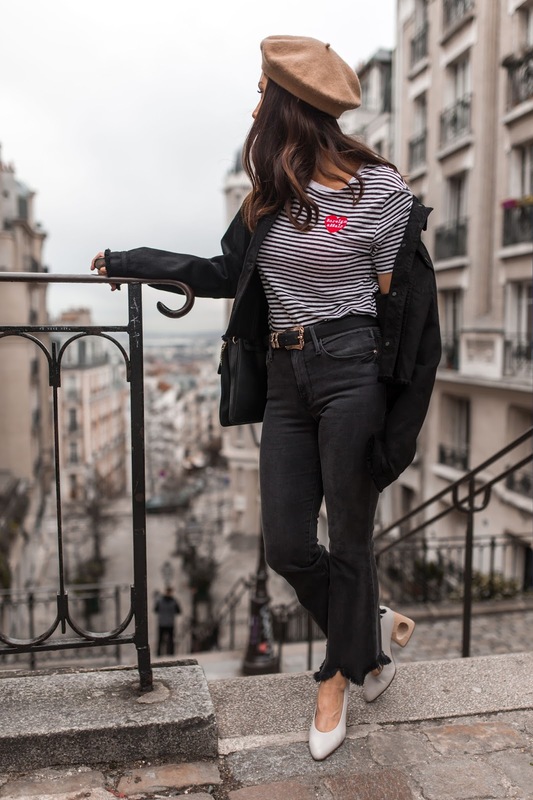 The small pearl touch on the jeans converts this look to chic. FACT: Every night, every hour on the hour, the tower is covered in golden lights that sparkle for five whole minutes while the Eiffel Tower’s beam lights up the city. It's a must see! 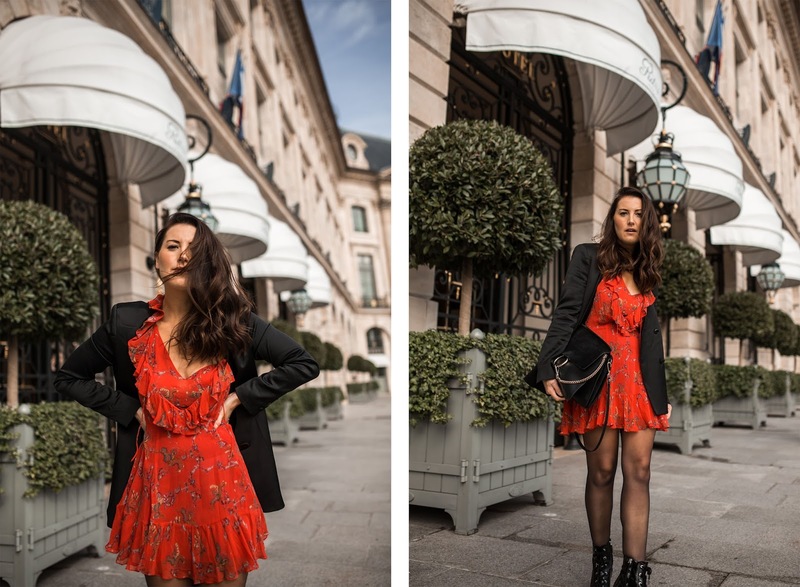 You’ll need a cute dress ladies, especially if you’re planning a night at Hotel Costes. 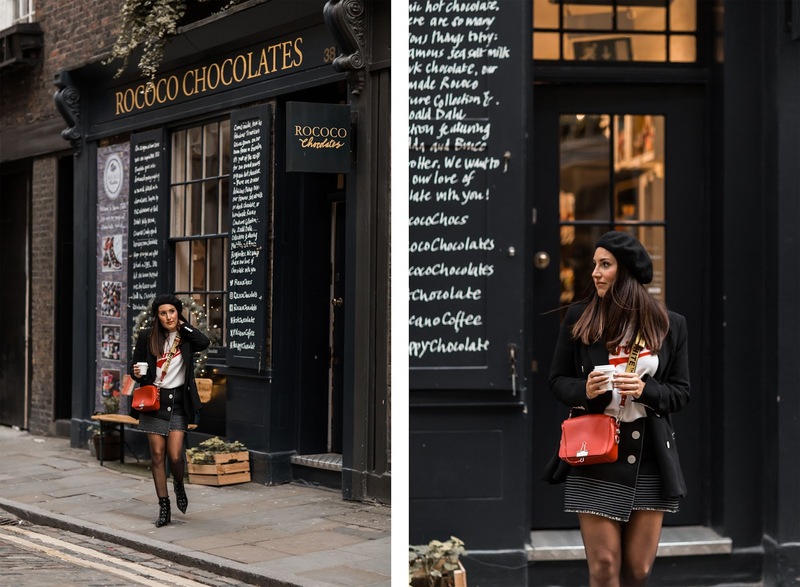 It’s the perfect place to people watch and pull inspo from super stylish females. Sheer tights were a must. 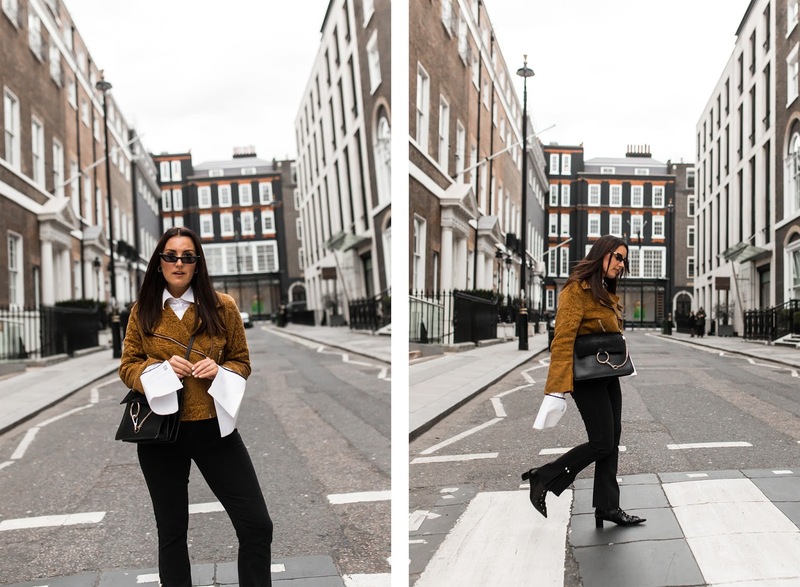 Some nights were dropping to minus six, so this silky blazer was a light layer of warmth whilst not looking too heavy. Uber/metro to Anvers station and make your way up any winding cobbled street towards the direction of The Sacre Cour. There are tonnes of cute cafes, galleries and artists on the way. I probably failed wearing heels, but at least they weren’t stilettos! Dad sneakers would look just as cool with this look. I love the oversized, boxy fit on this J Brand denim jacket. The sleeves are nice and roomy so good for a knit underneath on colder nights. My pet hate is when you have a cute coat/jacket that have really fitted sleeves and your arms look all bunched! You won’t have this issue here. I added a beret for that extra French feel. All images shot by yours truly, self-portrait.